Barrett-Jackson’s Las Vegas auction event from October 19th through the 21st will see one especially rare, historically significant Ford Mustang cross the block: Shelby Automobiles’ original, 2007 Shelby GT concept. The concept, which signified the restart of relations between Ford and Shelby nearly four decades after the demise of the GT350 and GT500 Mustangs, was initially used for advertising, press photography, and public display, before later going on to serve as a test bed for optional upgrades. Those upgrades include Baer brakes, 20-inch Razor wheels, and a Whipple supercharger bolted to the 4.6L three-valve V8. 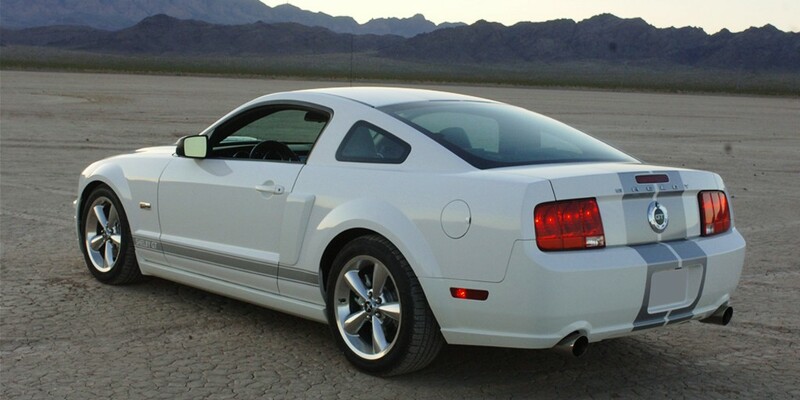 Naturally, it’s also fitted with all the Shelby GT’s standard upgrades, as well: a unique front fascia, scoops on the hood and rear quarters, silver LeMans stripes and side stripes, and inside the cabin, a Hurst shifter for the 5-speed manual transmission. This 2007 Shelby GT concept is most notable for being the first pre-title Shelby Mustang since 1970, according to Barrett-Jackson, although having been displayed at the 2007 New York International Auto Show also counts as an impressive accolade. It’s done just 9,360 miles since new, and spent some time on display at the Shelby American Heritage Museum in Las Vegas. It’s not clear that there’s a more unique, important Shelby Mustang from the 21st century than this 2007 Shelby GT concept; to top it, you might have to look back to the 1960s. Shelby fans, it’s time to empty out the nest egg.